After last weeks addition of 51 vessels in the Amver system, we're happy to report 61 more vessels joined this week. Having more ships in Amver increases the likelihood someone will be rescued at sea. 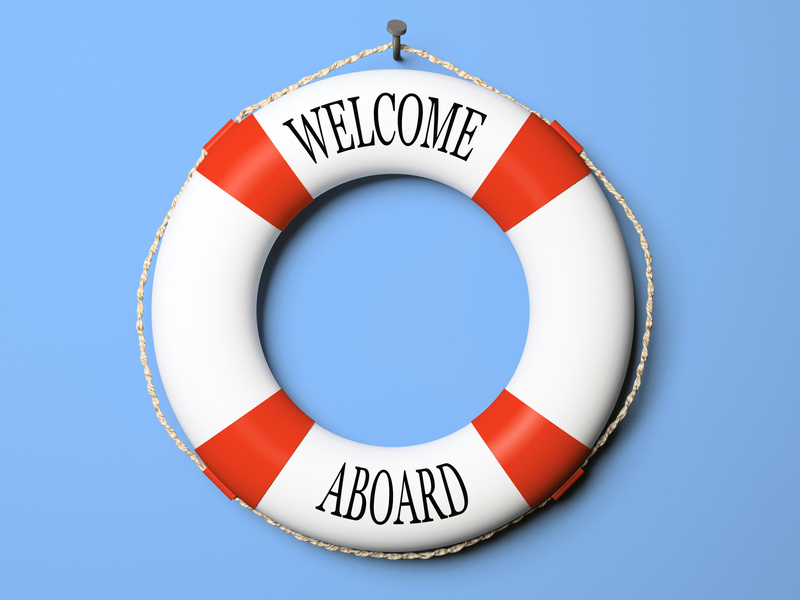 Help us welcome the latest members of the Amver network. An Amver participating tanker rescued three sailors and dog from a 49 foot sailboat approximately 880 miles northeast of Bermuda on Thursday, April 24, 2014 after the rudder had been ripped from the boat in severe weather and it began taking on water. "In a liferaft, in serious trouble, needs rescue," was the message that accompanied the distress alert via the SPOT beacon and relayed to U.S. Coast Guard rescue personnel in Portsmouth, Va. Coast Guard rescue authorities immediately queried the Amver system looking for available commercial ships to assist and launched a C-130 search aircraft from Air Station Elisabeth City. 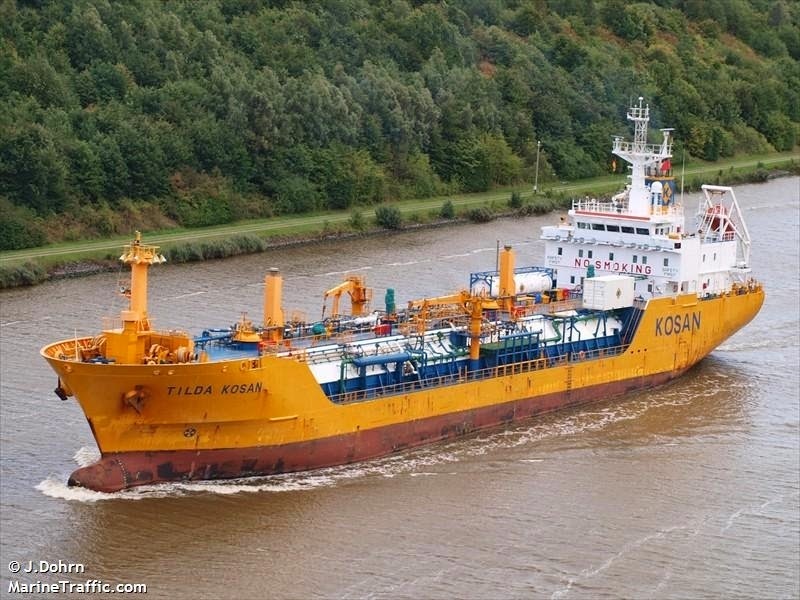 The Isle of Man flagged tanker Tilda Kosan replied there were near the scene and agreed to help the yachtsmen. The sailors, two British, one Canadian and a dog, were sailing from the Turks and Caicos enroute to the Azores when they stopped communicating with family on shore. Shortly thereafter the emergency notification was received by rescue authorities. Coast Guard personnel contacted the 348 foot tanker to get an update on the rescue when the captain of the ship replied "We cannot talk, pulling people out of the water," and agreed to provide an update when the survivors were safely aboard his ship. "All three people and dog are safe on board our vessel. No major medical issues but the people are tired and cold. We are enroute to Mexico," the captain reported to the Coast Guard. The Tilda Kosan will disembark the survivors in Altamira, Mexico. Can't hear the audio? Click here. Transcript- "[... unintelligible] I appreciate it, I'm going to [unintelligible] the U.S. Coast Guard, the minute our EPIRB signal went up the U.S. Coast Guard got ahold of Uncle [unintelligible] they've been talking to him all night before the rescue telling him there is a problem and they're looking for a ship or looking for a life raft for survivors. They're doing what they could. They [USCG and Amver] were fantastic, absolutely fantastic, they didn't play around. They were super quick. Norfolk, VA is where they did it from..."
The Tilda Kosan, managed by Lauritzen Kosan, enrolled in Amver on August 24, 2001. The Amver participating tanker Alpine Marie rescued two yachtsmen from their disabled sailboat 245 miles southeast of Kingston, Jamaica on Thursday, April 3, 2014. 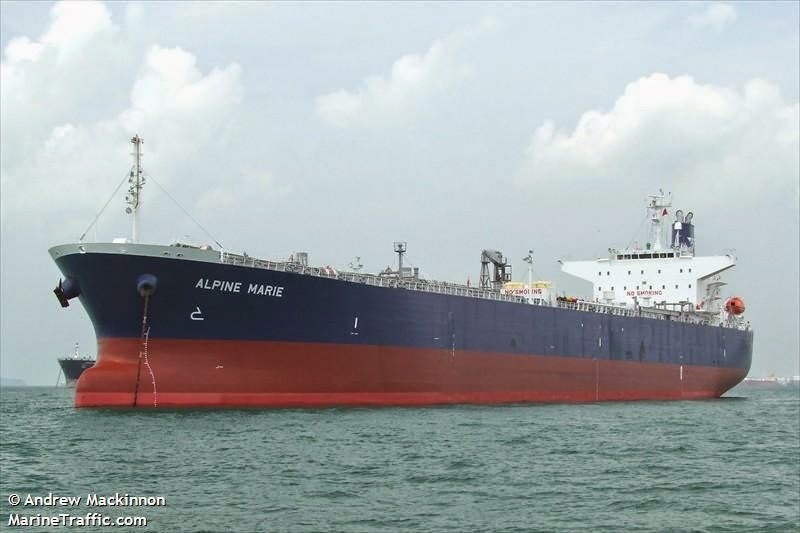 The Alpine Marie also rescued the crew of a sunken bulk ship almost a year to the day off the coast of Oman. U.S. Coast Guard rescue authorities in Miami received a report from rescue authorities in Columbia of a disabled French flagged sailboat southeast of Jamaica. Coast Guard personnel maintained radio contact with the yachtsmen on a 30 minute communications schedule and used the Amver system to identify the Panamanian flagged oil tanker Alpine Marie. When the Alpine Marie arrived on the scene the yachtsmen initially refused to disembark. After determining their sailing vessel could not be repaired, the two sailors boarded the 590 foot tanker without incident. The Alpine Marie transferred the survivors to authorities in Pascagoula, Miss. when it reached port. The Alpine Marie, managed by ST Shipping and Transport of Singapore, enrolled in Amver on September 8, 2010 and has earned two Amver participation awards. Three different Amver participating ships rescued a total of 35 Cuban migrants this month. Two cruise ships and and oil tanker, all in the Caribbean, saved the migrants who were in rustic rafts. The first case was reported by the cruise ship Independence of the Seas on Monday, April 7, 2014. 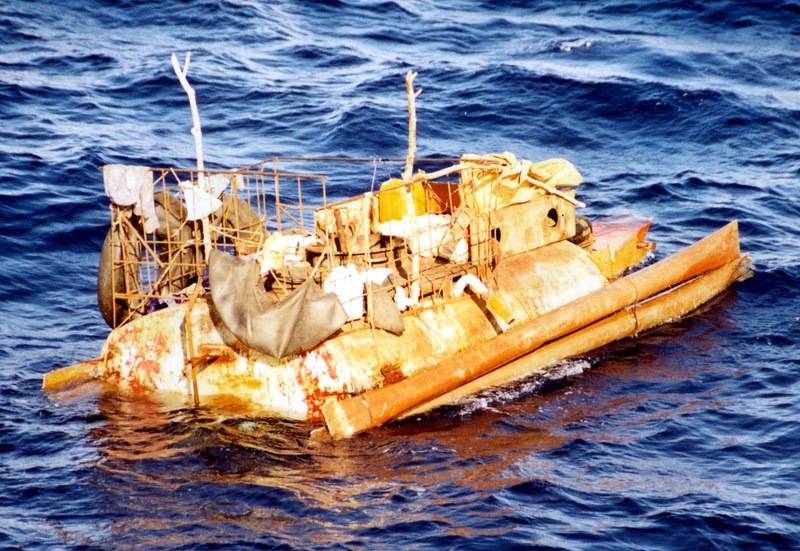 The crew of the ship reported to U.S. Coast Guard personnel they had located a rustic raft 81 miles southwest of Key West, Fla. The cruise ship safely embarked 13 migrants and transferred them to the Coast Guard Cutter Charles Sexton. The Independence of the Seas has been an Amver participant since June 15, 2008 and has earned two Amver participation awards. The second case was reported by the cruise ship Disney Wonder which spotted a rustic vessel 20 miles southeast of Islamorada, Fla. on Wednesday, April 16, 2014. The crew of the Disney Wonder safely embarked six migrants and eventually transferred them to the Coast Guard Cutter Yered. The Disney Wonder enrolled in Amver on July 20, 1999 and has earned 15 Amver participation awards. The third cases was reported by the Amver tanker Formosa Falcon, managed by Formosa Plastics Marine Corp, on Monday, April 21, 2014. The tanker embarked 16 migrants who reported being adrift for 20 days. The Coast Guard Cutter Diamondback met the Liberian flagged tanker and transferred the migrants. The Formosa Falcon enrolled in Amver on May 21, 2013. Wow! 51 ships enrolled in Amver in the past week. That is fabulous news and we're thankful for the support. The more ships enrolled in the Amver system, the safer it is at sea. Will you consider joining? Help us welcome the latest members. As responders race to the scene of the Korean ferry disaster we are reminded why ships enroll in Amver. To help those in distress at sea. Saving lives, while a complicated task, is an easy choice to make. Will you join the 19 ships below and commit to ensuring no call for help goes unanswered? Now, help us welcome the latest members of the Amver network. 30 additional ships have enrolled in the Amver system this week. That's fantastic news. We're thankful so many of you support the Amver system. Our small way of saying thanks is by listing your ship here. Without further delay, here are the latest ships to join the Amver system. Three sailors were rescued from their 42 foot sailboat after it began taking on water near Panama on Monday, March 31, 2014. U.S. Coast Guard rescue authorities at the Eleventh District command center received an Electronic Position Indicating Radio Beacon (EPIRB) alert for the sailing vessel Even Star which was on a voyage from California to Panama with three people on board. Coast Guard rescue personnel queried the Amver system and identified the Liberian flagged tanker Glenda Meryl near the location of the sailboat. 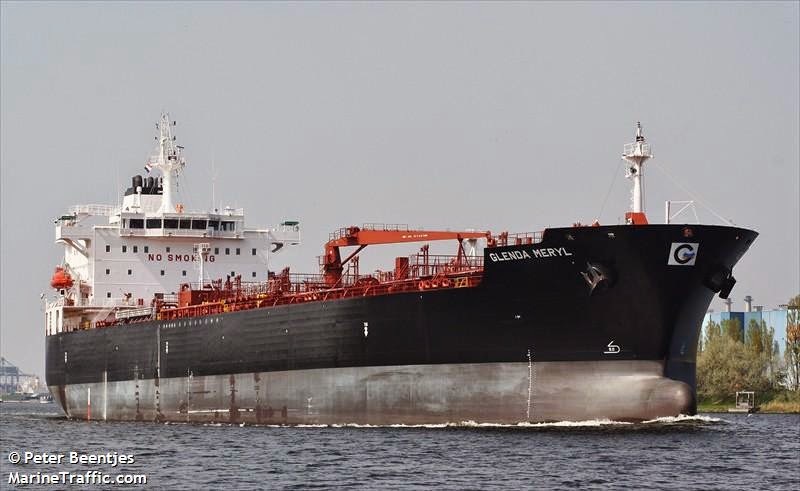 Using the Amver ship and the help of an amateur radio operator, rescue personnel were able to divert the 600 foot tanker to the exact location of sailboat approximately 30 miles south of Panama. The captain of the Glenda Meryl had the crew lower a lifeboat. The rescue party was able to quickly embark the three yachtsmen and bring them aboard the tanker. The survivors were not injured and the sailboat was left adrift. The survivors were taken to Balboa, Panama and met by Panamanian authorities. The Glenda Meryl, managed by d'Amico International Shipping, enrolled in the Amver system on February 21, 2011 and has earned one Amver participation award. Why do ships enroll in Amver? We presume it's because they understand the dangers of being at sea, the brotherhood of those that go to sea and to ensure no call for help goes unanswered. Regardless of the reason, we are thankful companies and crews, like the 16 listed today, have pledged to make themselves available for search and rescue.